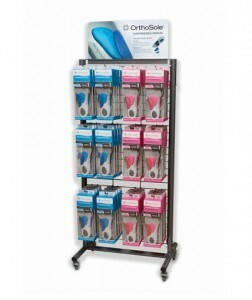 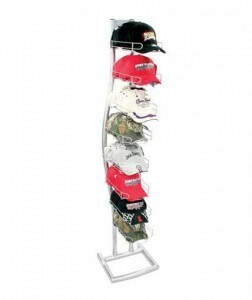 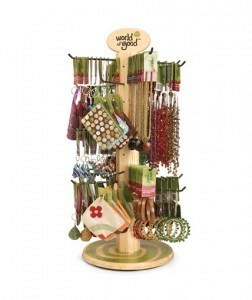 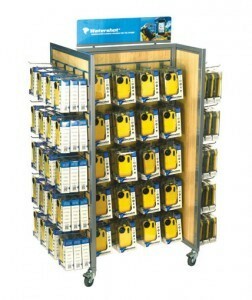 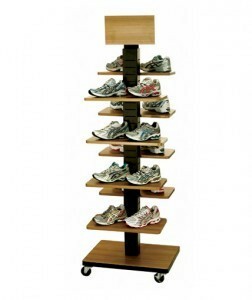 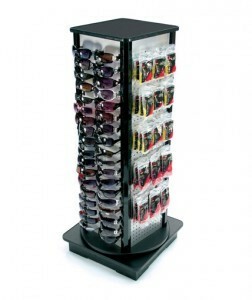 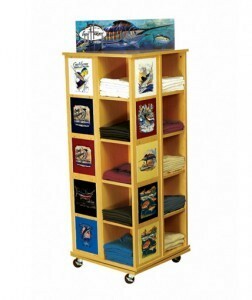 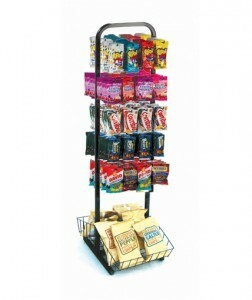 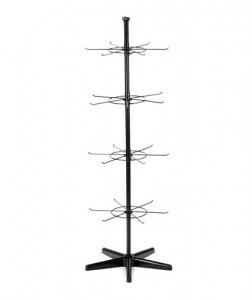 We have an extensive line of accessories to support our line of retail stock displays. 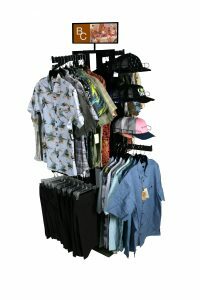 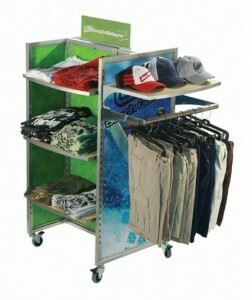 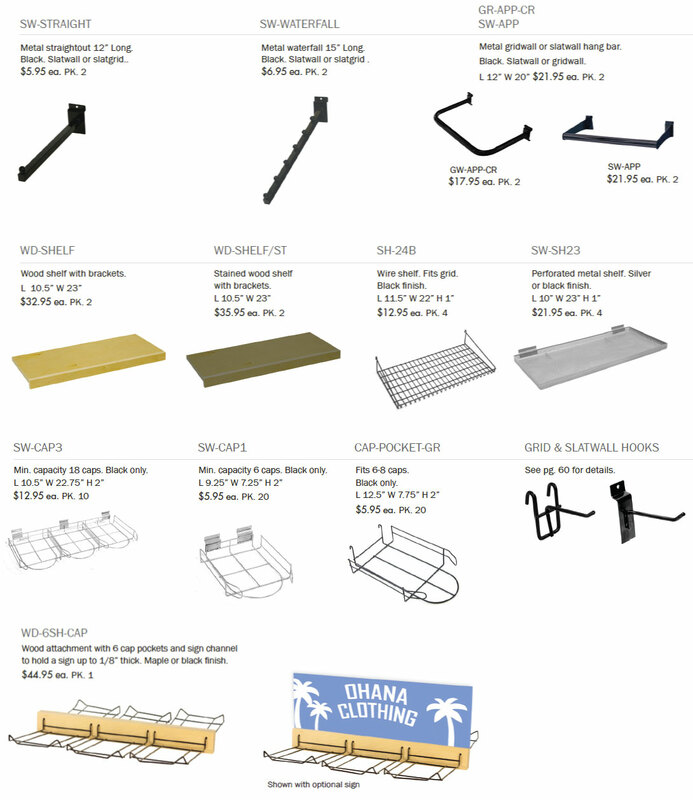 We have accessories for apparel displays, cap displays, our DLXS economy floor displays, floor spinners, our MPP shoe display, our MPM multi-product merchandiser, our store fixture line, slatwall displays, our UMF and other floor displays, floor shelf displays, sandal and footwear displays, pegboard displays, counter displays, poles, hooks, our spinning CTX floor displays, and our wood displays. 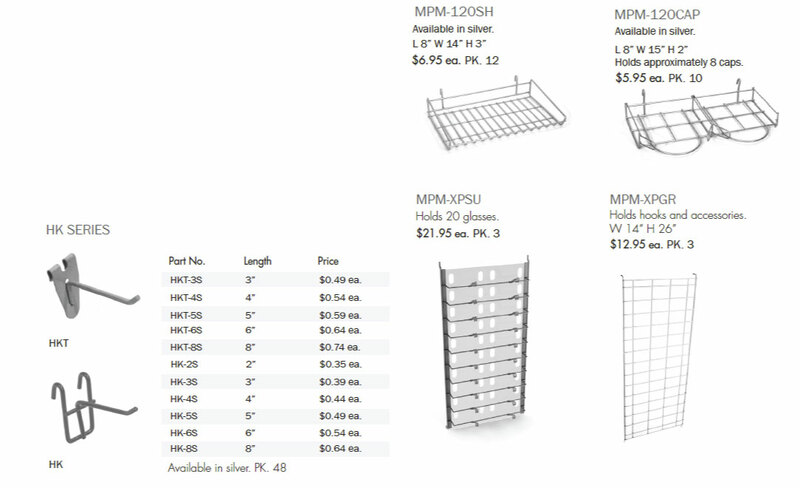 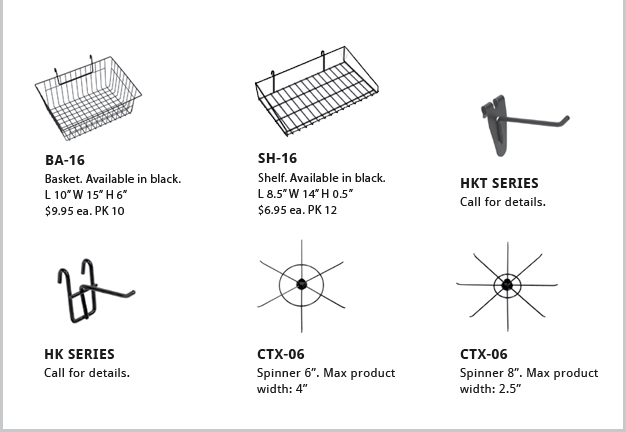 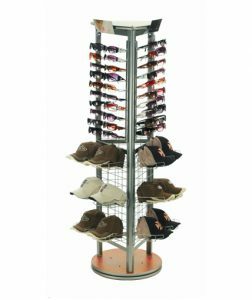 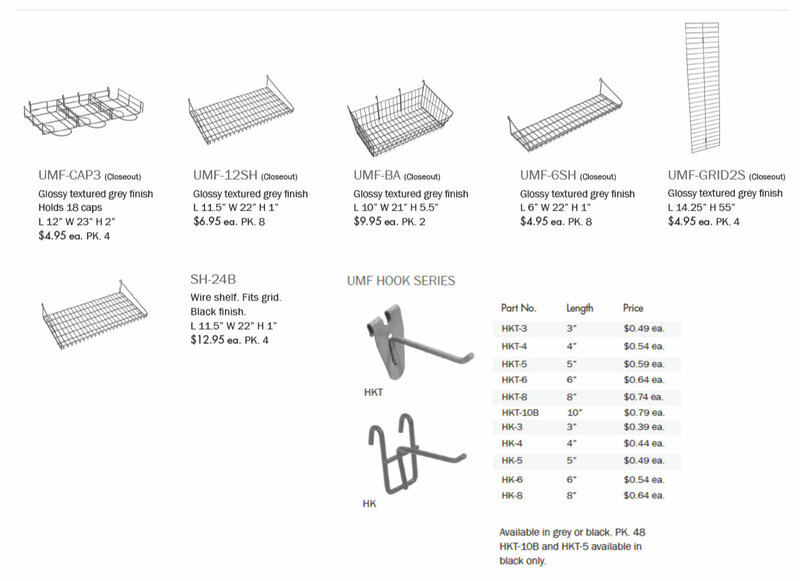 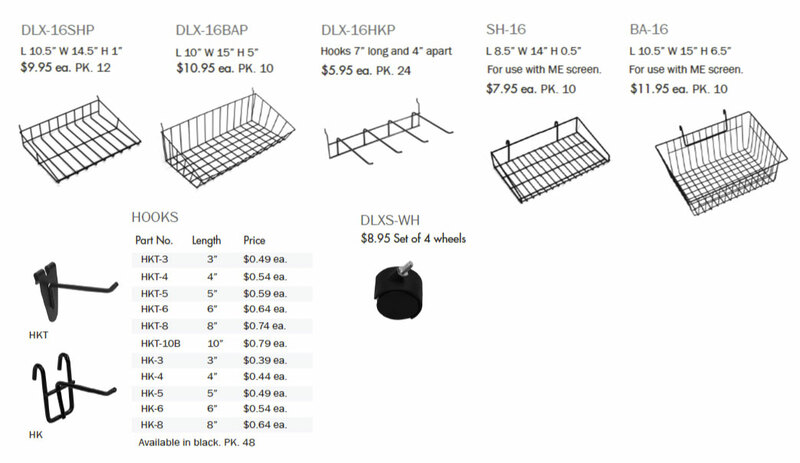 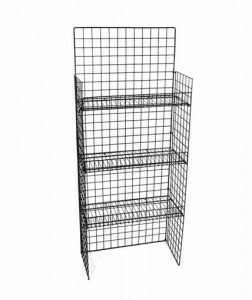 Accessorize your stock display with shelves, cap pockets, hooks (various types and lengths), baskets, waterfall arms, straight-outs, sign holders, shoe shelves, sunglass panels, jet rails, and more. 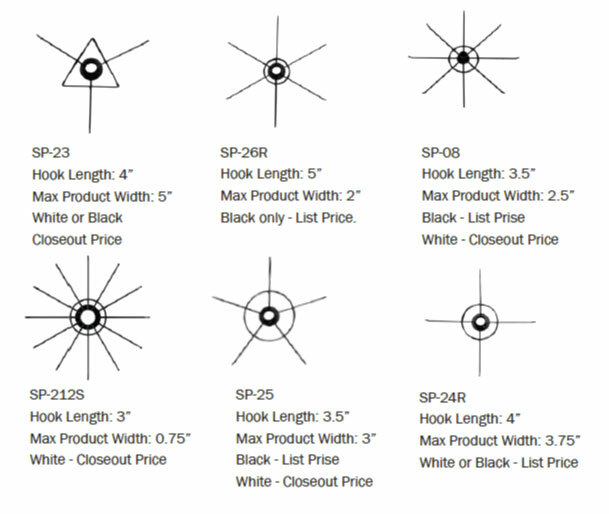 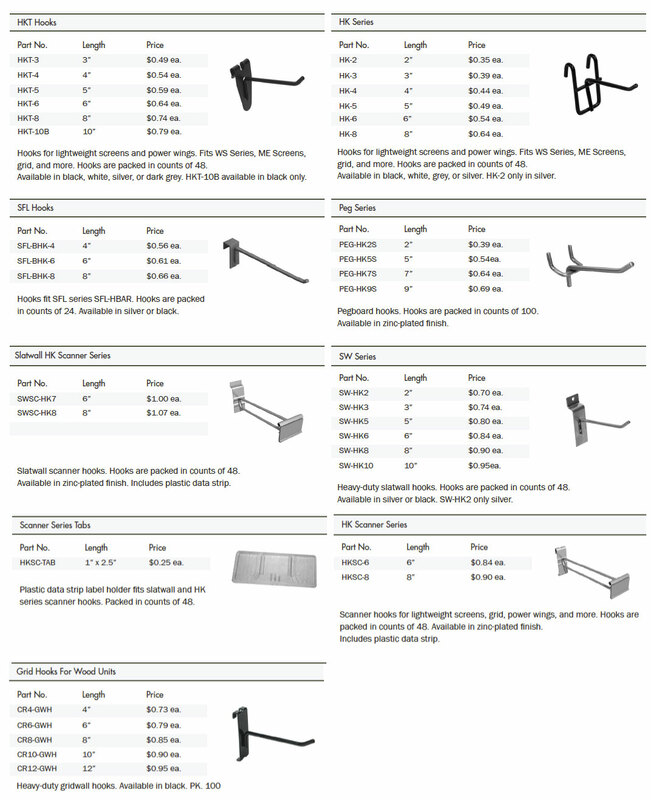 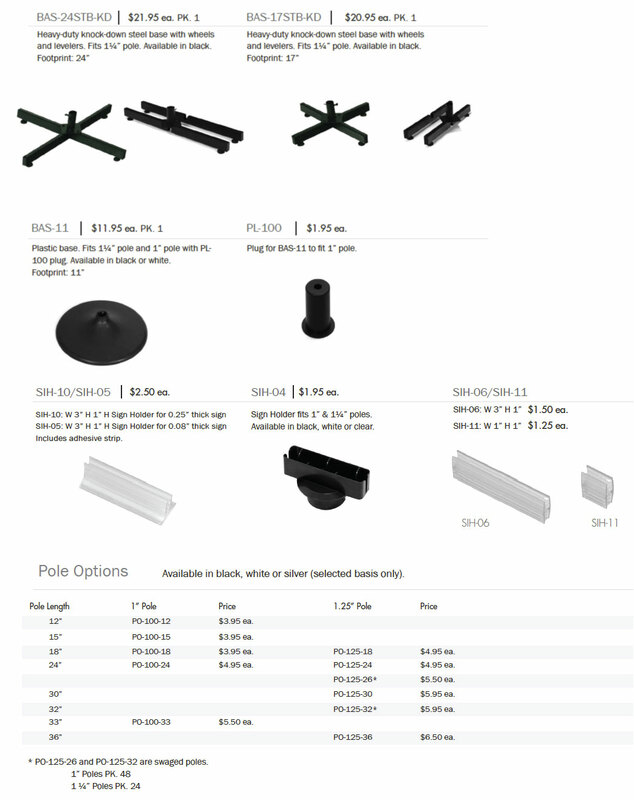 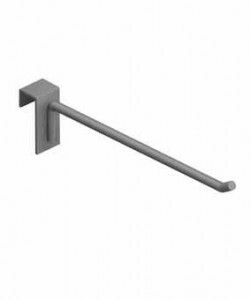 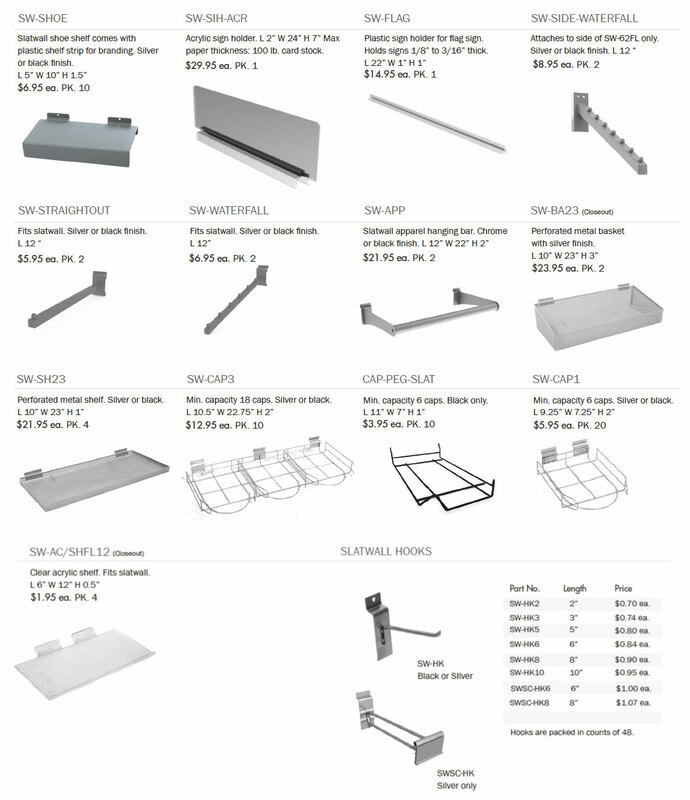 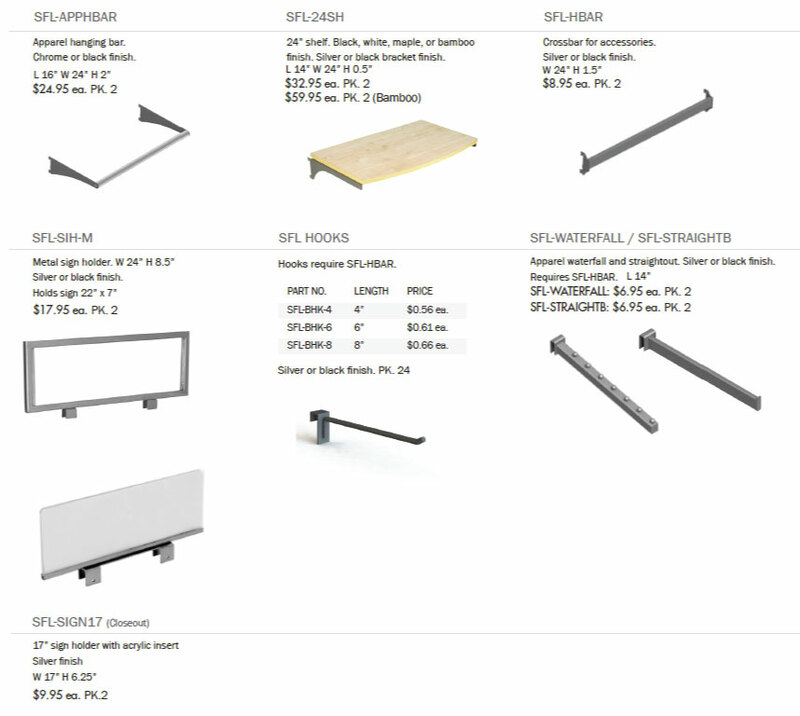 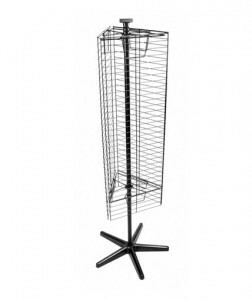 Any of our accessories can be packed with our stock fixtures to save money on shipping. 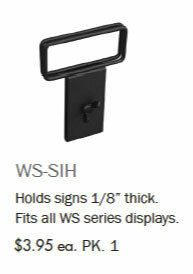 We can also leverage our in-house print shop to create signs for any stock fixture to help promote your brand. 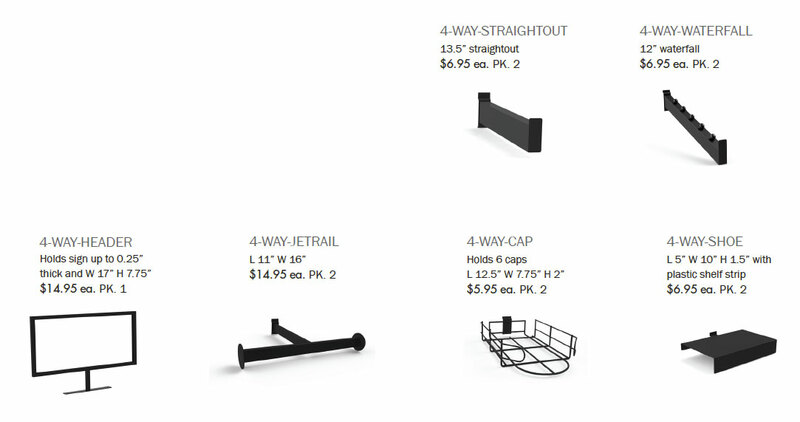 If you don’t find what you are looking for, let us know, and we can design custom accessories to meet your merchandising program needs.